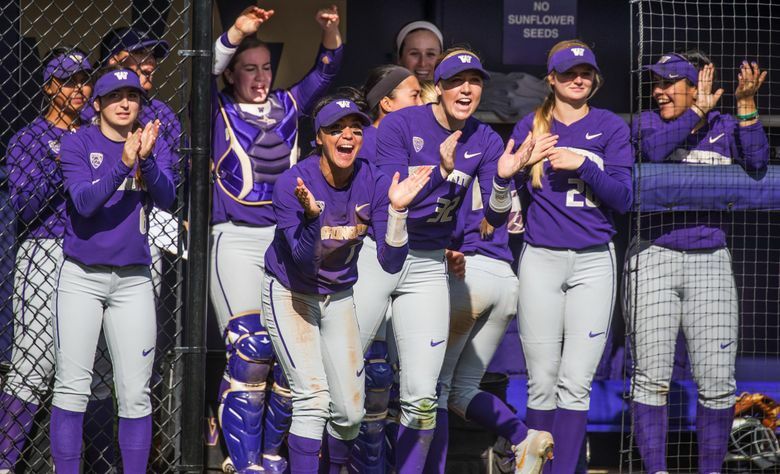 Despite a 13-strikeout performance by sophomore pitcher Gabbie Plain, a series of unfortunate events bedeviled the fifth-ranked Washington softball team Saturday, resulting in a 4-2 defeat in eight innings against No. 1 UCLA in front of a sellout crowd of 1,491 at Husky Softball Stadium. The Huskies (22-5, 0-2 Pac-12) had their chances. In the bottom of the seventh, a potential walk-off home run by Sis Bates bounced off the left-field wall instead of clearing it. 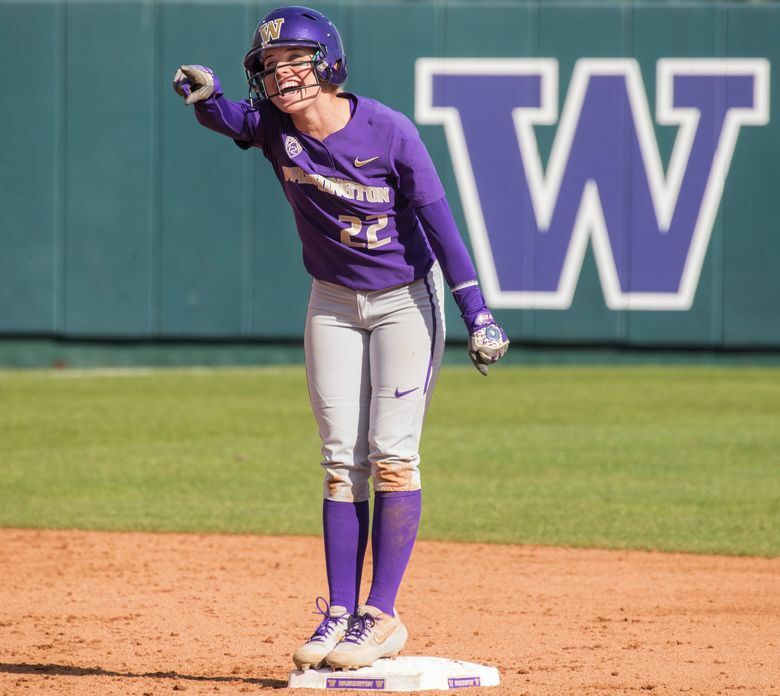 In a 2-2 game, UW had runners on first and second with no outs in the fifth and seventh innings, but could not push a run home against Rachel Garcia, the 2018 national player of the year who entered as a relief pitcher in the fourth. 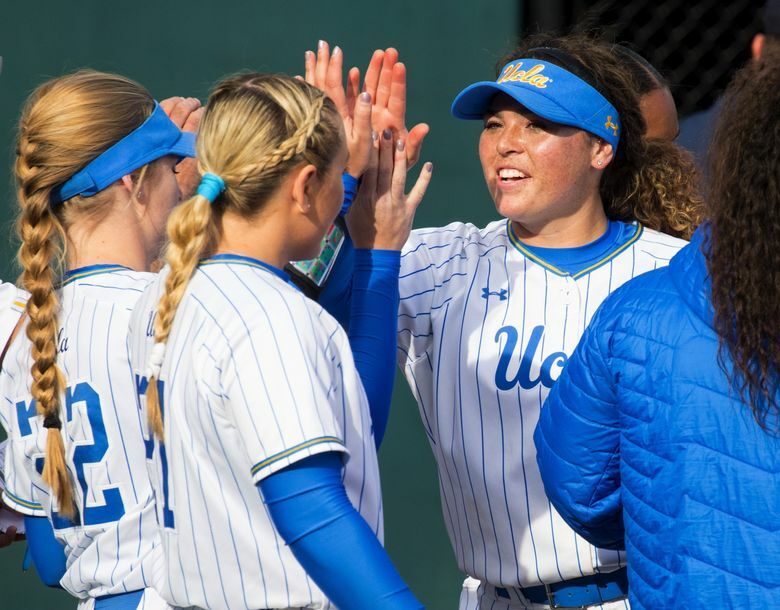 Garcia delivered the game-winning hit for UCLA (24-1, 2-0) in the top of the eighth, smashing a home run to left moments after freshman right fielder Ari Quinones misjudged a catchable fly ball (and third out) that instead dropped in front her and put Aaliyah Jordon on second. Garcia smoked a 3-2 pitch over the wall in left for the decisive runs. The Huskies left nine runners on base, two in the fourth and three in the fifth. 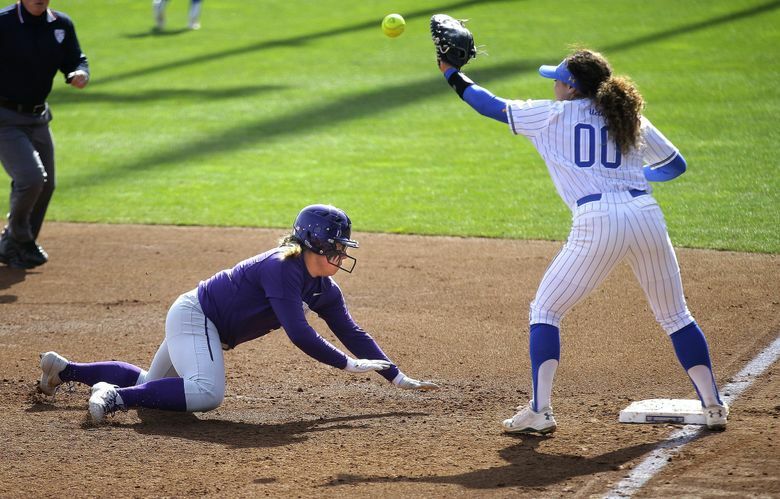 They led 1-0 in the first after Bates, who went 3 for 4, raced home from third when Noelle Hee drew a throw to second attempting to steal before retreating to first. Bubba Nickles stroked a two-run single in the third to give UCLA a 2-1 lead. In the fourth, sophomore third baseman Nawai Kaupe, who entered the game batting just .056, blooped a single down the left-field line to drive in pinch runner Megan Vandegrift. 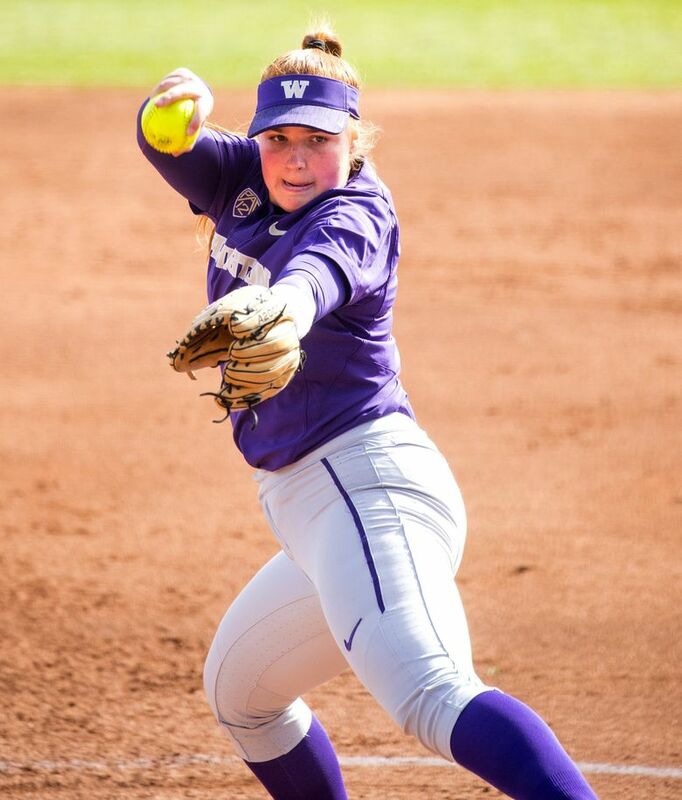 Pitching and defense have been key for UW, and Plain (9-1), the 6-foot import from Australia, has been exceptional. 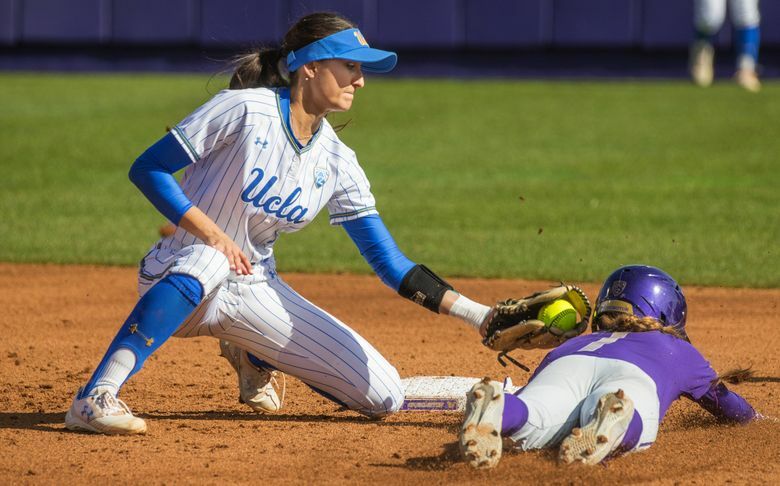 Until UCLA, ranked seventh nationally in batting (.353), reached her for three hits in the third inning, she had pitched 23 1/3 innings of no-hit ball. The Bruins, who went hitless in four innings against Plain on Friday night, finished with seven hits. Inouye-Perez said she thinks Plain is even better than a year ago, when she was 22-5.